Currently, it’s still more common for discussions to revolve around men cheating instead of women. However, women who cheat are nearly as numerous as their male counterparts. 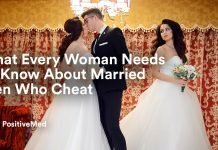 Both genders usually have different reasons for cheating, and they’re unique to each individual. Take a close look at the top reasons why women cheat as reported by WebMD and Live Science. Psychology and human nature are at play when attraction begins with a new lover. You may remember that initial sensation that you felt when you met your loved one. Butterflies in your stomach and excitement seems to fill each day as dating begins. However, this new-partner sensation can’t last forever. The relationship will eventually settle down. Some women cheat because this sensation is necessary in their life. They may not want to leave their husband or boyfriend, but they want that electric sensation that occurs when you’re first dating a person. Your relationship may be near its 10-year anniversary, but you’re cheating on him after all of these years. A common cheating reason among women is simply boredom. Their partner may be busy at work, and the love life in the bedroom isn’t what it used to be. Women will seek out another lover in order to quench their boredom while staying committed to their partner. Cheating often occurs because of emotional-support issues. The woman’s partner may not be comfortable with discussing personal feelings. As a result, the woman feels deprived of any emotional contact. She resorts to cheating in order to quench the emotional deprivation. An affair may not be physical at first either. The woman might have an emotional affair by discussing personal feelings with the other person. These relationships will often escalate into a traditional, physical affair. In some cases, women might feel like they deserve to cheat because they believe or know their partner is guilty of this betrayal.